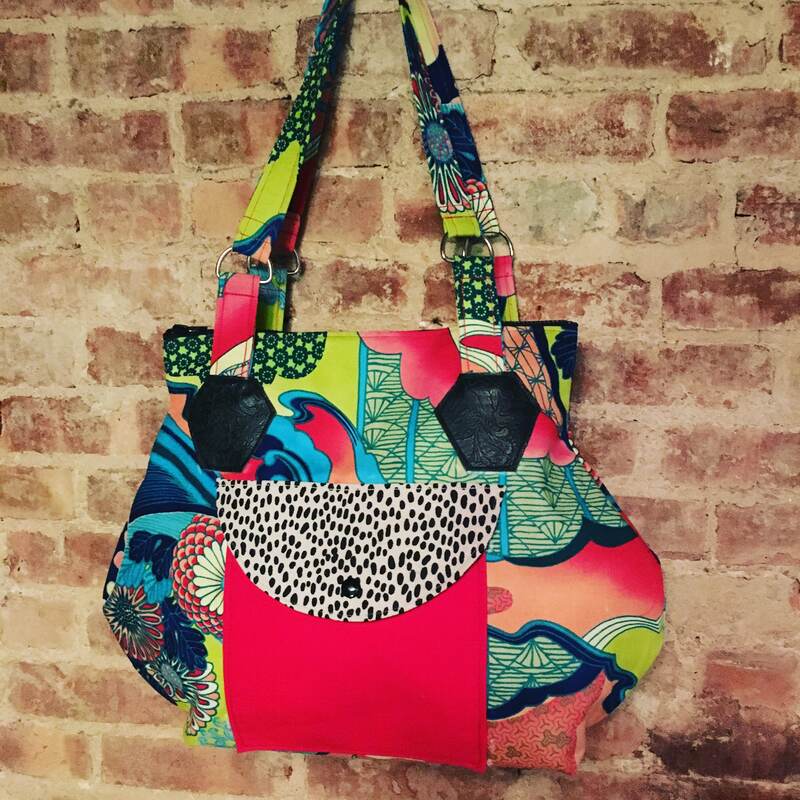 We call this bag the Hip Bag because it has an hour glass shape and we think it's pretty hip! 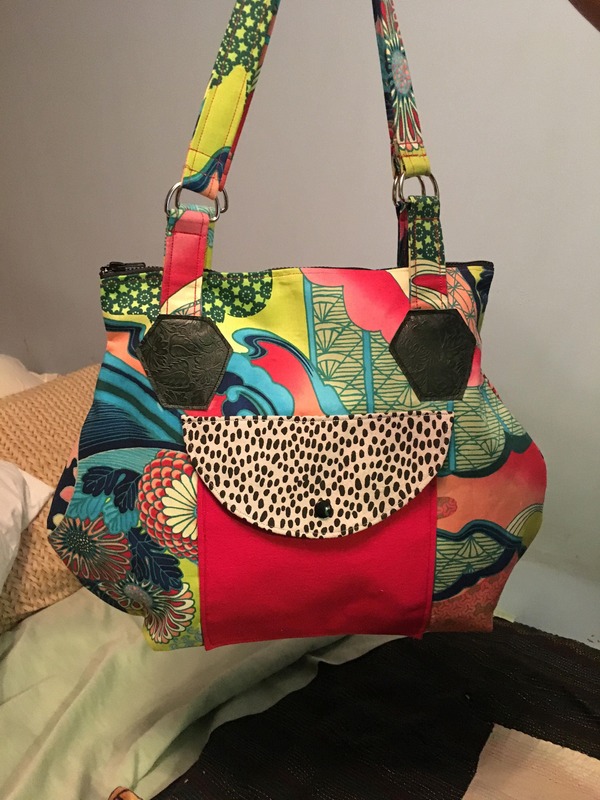 This bag is great size if you are looking for a larger size bag but still want something lightweight and fun! The asian inspired floral print has colors of blue, red, light green and pinks. We detailed it with a exterior patch pocket of red cotton canvas with a printed cowhide spotted flap. Our Hip bag is lined with a red water repellant canvas, it features one large interior pocket, a 14" black top zipper closure and D rings on the straps. Please feel free to convo or request.